Hi. We’re basically two friends who’ve known each other since college. Our names are Anthony and Rob. (I’m Anthony). We were both obsessed about fishkeeping and shared the same dorm room. We would sneak our fish tanks into the room, without any on the floor knowing about it. Pets and animals of any kind was strictly prohibited, so if we got caught, we were in big trouble. We would often hide our mini nano tanks under a tank top or sweater before leaving the room, and we were always on the lookout for our RA scouting the area. We were both big fans of nano tanks and planted aquariums. Marimo moss balls were usually the plant we were obsessed about. Often, we’d get a 2.5 gallon cubed tank, plant it with java moss and a few moss balls. Add some shrimp and a Betta fish. That’d be so relaxing to watch and listen to the trickling water from the bubbler and air pump. I had 5 of those setups. When we had (approved) guests over, they were always interested in the tanks. Specifically, the moss balls. It was the same few questions over and over. We were also active in community fish forums online, where we found the same questions asked again. We put together this site to answer these questions. 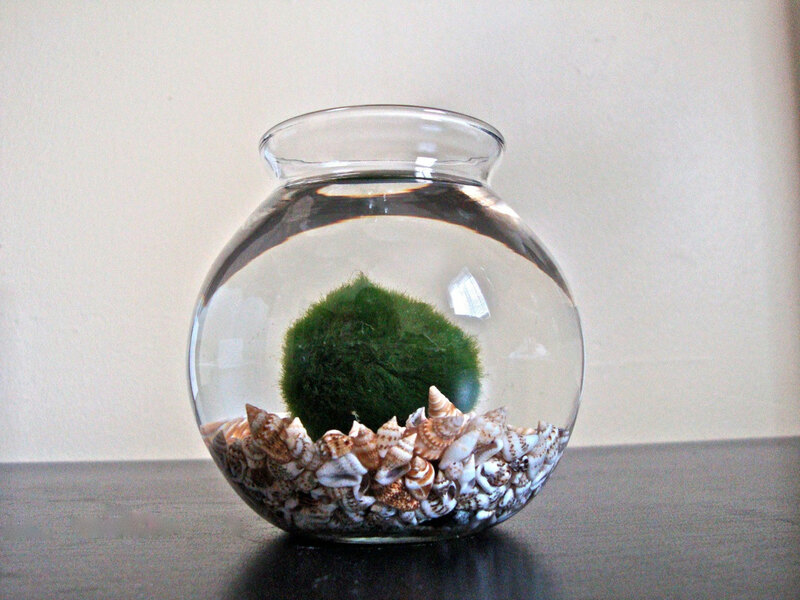 We also had a ton of people asking how to care for them, so we made a marimo care section. People also didn’t know how to choose a healthy moss ball, so we decided to work with a quality grower and work with them to supply quality moss balls that are up to our standards. So, welcome to the best marimo moss ball site on the planet. Get some balls and plant your tank.